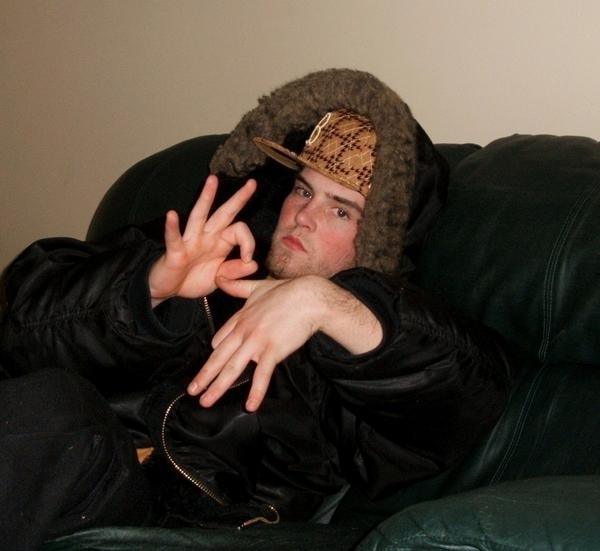 There exist many scumbag memes on the internet, but one of the most popular is Scumbag Steve. We all have probably known a Scumbag Steve or twelve in our lives, and this meme personifies that person who thinks he is the proverbial “all that and a bag of chips”, while really, he is just a total douche. Scumbag Steve shows a photo of a younger guy sporting a sideways cap and standing in a hallway. He has a look on his face that pretty clearly states “I am a douche”. The text that often accompanies his image focuses on behavior that can be deemed immoral, unethical, rude, and usually illegal. 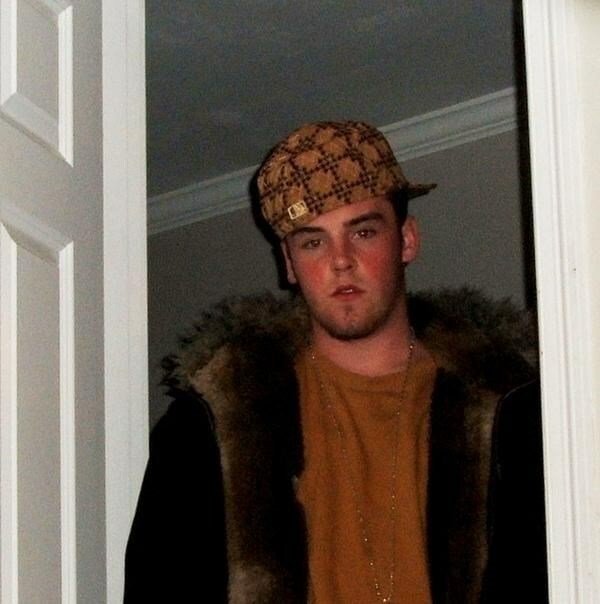 The photo of Scumbag Steve actually, unlike other memes, has a known origin. It was taken off the cover of an album called Martin Gangsta, by the group Beantown Mafia. The identity of the man is even known, as it was discovered that the guy in question is actually Blake Boston, and the photo taken by his dear mother. Blake, as subject of the photo in question, has publicly expressed his admiration ond like for marijuana, and subsequently many of the Scumbag Steve meme images have reflected that propensity. Boston’s predilection for cannabis notwithstanding, notable examples of Scumbag Steve pieces include references to stealing things, internet stalking, and throwing up on various things. Some of Scumbag Steve’s attributed notable quotes include “Hey can I Borrow Everything?” and “Do You Want the Red Pill? Both”. sings "i whip my hair back and forth"